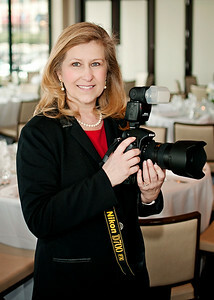 Sharon Natoli is a former Washington Times Staff Photographer who has been working in the Washington DC, Baltimore and Annapolis areas for over 20 years. After graduating with honors from the University of Maryland, she went on to staff photographer positions at the Eastern Shore Times, The Montgomery Sentinel, The Prince George's Journal and The Washington Times. As a photojournalist she has covered major news stories at the White House and Capitol Hill. Sharon has won awards from the Maryland-Delaware-DC Press Association, the National Press Photographers Association and two first place awards from the White House News Photographer's Association. Her background in editorial and news photography makes her accustomed to working in all kinds of situations and settings. Sharon covers a variety of events in a documentary style and can be contacted at sharon.natoli@gmail.com .